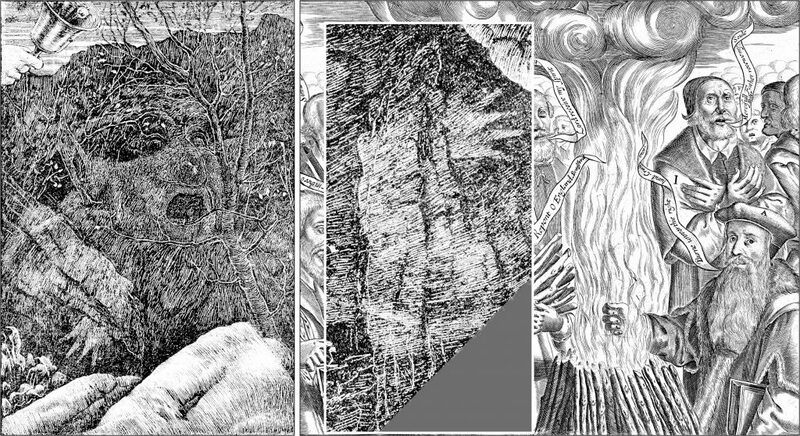 On the right side of the side-by-side comparison shown above you see a pattern from an illustration (see also right side of the comparison image shown below) by Henry Holiday (and Joseph Swain) to the chapter The Vanishing in Lewis Carroll’s The Hunting of the Snark (1876). On the left side you see a segment (depicting a crucifix) from the Allegory of Iconoclasm (or The Image Breakers) by Marcus Gheeraerts the Elder (c. 1567). 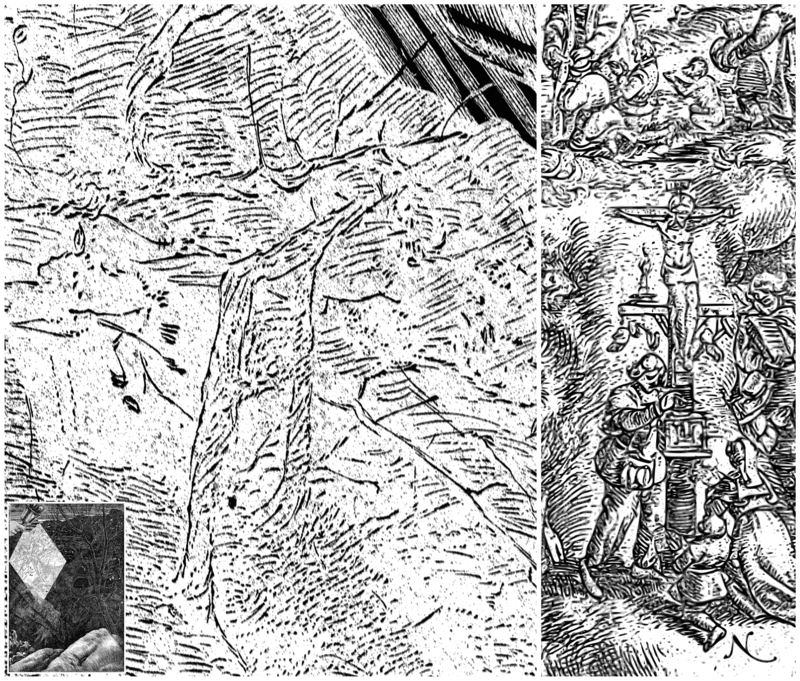 Henry Holiday might have placed a crucifix into the illustration depicting the Baker’s meeting with the Boojum. I don’t suggest that Dodgson/Carrol or Holiday had catholic leanings. I think that this illustration (also) is about the burning of Thomas Cranmer, whose catholic period ended a few minutes before his cruel death. If that is so, then Henry Holiday’s illustration might show two martyrs (Jesus and Thomas Cranmer) meeting what Lewis Carroll might have called “the Boojum”.